Jean Jenkins was born Jean Alice Elliott on 16 March 1938 in Bristol, England, to Ernest Elliott and his wife Alice Elizabeth, née Jones. She was brought up by adoptive parents Daniel and Blanche Jones in Swansea, Wales. Jean attended Swansea Girls High School and completed a Bachelor of Arts (Hons) in languages at the University of Reading, majoring in Italian, French and German. Jenkins taught languages in England and Italy and had a stint as a languages examiner at Cambridge. In Swansea, in 1965 she married Donald Pope, with whom she had three children. The family migrated to Australia in 1969. She later admitted to being a 'reluctant migrant' due to Australia's participation in the Vietnam War, its armed police force and its treatment of the Indigenous population. Living in Perth from 1971, Jenkins taught English to adult migrants at the Perth Technical College. From 1977 she was a senior lecturer in modern languages and became Head of the Department of English, Languages and Social Studies, developing and implementing professional standards for translation and interpreting. On 23 December 1979 she married for a second time. She and Brian Jenkins, her second husband, had another three children, making her a mother to six. A member of the Australia Party during the 1970s, Jenkins joined the Australian Democrats in 1980. She became the state party spokesperson on education (1981–83) and then on immigration and ethnic affairs (1983–86), the convenor of the party's Stirling branch (1983–85), and ombudsman for the state party (1986–87). 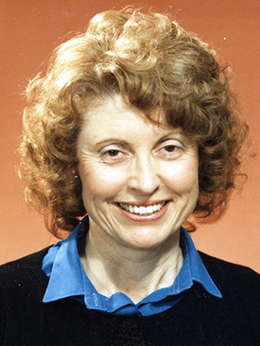 Before her election to the Senate, Jenkins had been an unsuccessful candidate for political office on four separate occasions, running as a Democrat for the House of Representatives seat of Stirling (1980), the WA Legislative Assembly seat of Karrinyup (1983), the Senate (1984), and the WA Legislative Council electorate of North Metropolitan (1986). She later admitted that even though she stood little chance of winning those elections she fought the contests 'for social justice'. Her election to the Senate in 1987 may be attributed to the confluence of four unlikely factors: turmoil within the WA branch of the Democrats, which, after a disallowed ballot for preselection positions, allowed Jenkins to claim first position on the ticket ahead of a former Democrats Senator Jack Evans; a double dissolution election, in which the quota for election to the Senate was halved; the Labor Party's willingness to direct preferences to Jenkins; and a lower-than-expected vote for the National Party Senate ticket. Jenkins was the eleventh senator elected, just ahead of the then Nuclear Disarmament Party Senator Jo Vallentine, a rival for left-leaning voters. On 21 September 1987 in her first Senate speech, Jenkins emphasised the need for broad-ranging environmental protections in Western Australia. She linked social justice to the environment, citing Democrats founder Don Chipp's stance on the importance of having a world that was worth protecting. She argued for the protection of Shark Bay and opposed the development of a petro-chemical plant at Kwinana. She also advocated on behalf of sufferers of asbestosis and expressed her opposition to 'Australia's involvement in the global nuclear strategy of a foreign power'. She used her speech to champion proportional representation electoral systems, labelling the single member seat system used in the House of Representatives and many state houses as 'unrepresentative'. She also stated how proud she was at having been elected to 'a genuine House of review' that 'truly represents States' interests' but was 'disturbed to see the concept of the Executive being set apart from the House of Representatives and the Senate' in the new Parliament House. Jenkins also used this speech to call for better language support in government schools for children of non-English speaking migrants, emphasising the obstacles faced by this group of people by switching to Italian for part of her speech. Jenkins's experience as a migrant and her proficiency in languages saw her become the Democrats' spokesperson for immigration matters and ethnic affairs, as well as the spokesperson for arts, sport, local government and the territories, and tourism. In immigration, the Hawke Government's successive changes to the Migration Act 1958 and the corresponding regulations occupied Jenkins for much of her term. In November 1987 the government sought to introduce a $5 fee for all migration applications at the point of entry and a retrospective $240 fee for appeals made to immigration review panels. Jenkins described the later fee as 'totally obnoxious', arguing that the rationale behind the fee—that it would ease the backlog of appeals—was misdirected and 'very discriminatory', being 'more likely to deter people who simply cannot afford the fee'. The Coalition joined forces with the Democrats in the Senate to pass amendments to the Migration Amendment Bill 1987 so as to remove references to the $240 fee. However, the government, arguing that the $240 was a fee for service and so did not require legislative warrant, collected the fee from September 1987, in the absence of enabling legislation. In November 1988 the High Court ruled that the $5 fee was invalid, as it amounted to an arrivals tax. Then, in March 1989 the Commonwealth Ombudsman found that the $240 fee had been unlawfully collected, and called on the government to refund fees collected. In May 1989 Jenkins noted 'the reality that many more people wish to live in Australia permanently than we can accommodate', and volunteered a solution: if 'very clear selection criteria' were widely disseminated 'a large number would exclude themselves from the application process'. She also took the opportunity to criticise the government's 'extremely harsh position on illegal entrants' noting that the migration policy of the Democrats was wholly based on 'humanitarian and compassionate grounds'. Jenkins went on to quote the 1988 report of the FitzGerald Immigration Policy Review which referred to the administration of migration laws and regulations as 'A labyrinth of rules and requirements that confuse and bewilder'. Seven months later she described the Migration Legislation Amendment (Consequential Amendments) Bill 1989 as a 'monument to bureaucratic obfuscation'. She found support from the Coalition to have the Senate carry a second reading amendment, through which the Senate condemned the government for 'making complex and weighty' amending legislation, dependent on 'equally complex' regulations, 'without first giving the Parliament a proper opportunity to scrutinise and approve' them. In May 1990, in one of her last contributions on immigration policy, Jenkins welcomed the government's 'Review of Migration Legislation' statement, taking it as a vindication of the position taken by the Democrats on migration. She asked: 'why not rewrite the whole Act now, as recommended by FitzGerald, which should have been done in 1989 ... The whole thrust of the Act and regulations discriminates against human rights in favour of economic and bureaucratic criteria'. In February 1988, following extended debate over the means and methods by which the Australian Capital Territory (ACT) should be granted self-government, Jenkins, in her capacity as a spokesperson on local government and the territories, declared that ACT self-government 'had to be a top priority' as it was 'absolutely essential' that people residing in the ACT had a voice, preferably through a proportional representation voting system. Two months later, in the Senate, Jenkins tabled a draft bill for ACT self-government which purposely did 'not specify which of the many forms of proportional representation should be applied to the ACT'. In November 1988 the government introduced legislation to provide for ACT self-government. The legislation sought to introduce a modified form of the d'Hondt electoral system, used in some European countries, a system described by Jenkins as 'the only obnoxious form of proportional representation that I have ever heard of'. In her opinion the proposed system favoured the major parties by excluding smaller parties and independents from the count if they failed to reach a quota of first preferences. She also objected to 'the total absence of local citizen input into this legislation'. Jenkins' refusal to compromise and her keenness for ongoing community consultation on the issue of self-government served to isolate her. Compromises agreed to by Labor and the Coalition left the Democrats sidelined. The 'buckets of amendments' moved by Jenkins were all voted down and the four government bills that provided for self-government for the ACT were passed. She was later vindicated. ACT's first election showed that the d'Hondt system was 'hopelessly ill-conceived and irredeemable'. In 1993, following an advisory referendum, the Hare-Clark system was adopted and was entrenched by a subsequent referendum held alongside the February 1995 ACT election. In her capacity as spokesperson for local government and the territories, Jenkins was also involved in debates over proposals to build casinos in Canberra and on Christmas Island. She was opposed to both, arguing that the proposals were being imposed on jurisdictions that had 'no elected voice' to challenge the ultimate decisions. Her motions to disallow the relevant ordinances were unsuccessful, with the Coalition joining with the government to approve the proposals on the grounds of economic opportunity. Serving on the Joint Select Committee on Video Material, Jenkins contributed to its contentious 1988 report on violent, pornographic and otherwise obscene video material. As Jenkins pointed out, the committee's report 'was extremely difficult to prepare because of basic philosophical disagreements among committee members', which was reflected in contradictory recommendations and several dissents. Jenkins signed the 'major dissenting report', which recommended the establishment of a new rating: 'NVE', (non-violent erotica) into which existing X-rated material would be reclassified. She argued that the different international definitions of X-rated material had caused confusion. During her three years in the Senate, Jenkins was a frequent speaker in adjournment debates, repeatedly using them to draw attention to unpopular or neglected issues related to social justice. Amidst the work of the Muirhead Royal Commission into Aboriginal Deaths in Custody, she often used debates to highlight specific cases of people who had been mistreated or died while in the custody of police or in the care of the health system. She also sought to publicise what she saw as a 'disturbing lack of parity or consistency' across the states in the incarceration rates of women for social security fraud, and drew attention to issues affecting Western Australian communities such as proposed development and conservation schemes. In June 1989 Jenkins raised the subject of child migration schemes between England and Australia in the years following the outbreak of the Second World War. She said that in many ways, the child migrants were 'treated like prisoners' and a number of them had suffered work injuries or had been victims of sexual abuse and general maltreatment. She noted that the affected individuals also faced problems in obtaining their personal records, including details of family in Britain, leading to psychological problems of identity and making it hard for them to satisfy Australian citizenship requirements. Her speech inspired a hostile response from Liberal senators John Panizza and Sue Knowles (WA) after debate had switched to the side issue of whether Panizza's family, or the families of other WA senators, had ever employed child migrants. Knowles went so far as to label Jenkins as a 'nutty, wimpish paragon of virtue'. Jenkins felt that her decision to raise the matter was eventually vindicated, with the tabling of the report of the Community Affairs References Committee on child migration, Lost Innocents: Righting the Record, which recommended that the government put in place a range of support mechanisms for the benefit of child migrants and that Australia should recognise the positive contributions that former child migrants made to the nation. Her commitment to peace saw her criticise policies that enjoyed bipartisan support. Jenkins was a staunch opponent of the presence of US military and intelligence personnel at Pine Gap. She argued that there had never been clarity about the nature and purpose of the base. Its continuing presence, she argued, had 'allowed Australia to become entangled in a dangerous nuclear web' and made Australia a legitimate nuclear target. In November 1987 she joined senators Jo Vallentine, Norm Sanders and Robert Wood, in placing a door at the gates of the American Embassy in Canberra and nailing to it a notice of eviction in protest against the base. In the wake of bicentennial celebrations in 1988, she called on the government to ban visits to Australia by nuclear-armed or nuclear-powered vessels. Eleven months later, following the arrest of protesters at a base in Nurrungar, she denounced the government for its 'use of Australian troops against Australian citizens on Australian soil in defence of a United States military base'. Her attempt to debate the issue failed when a quorum was called but not met, resulting in the adjournment of the chamber for the day. Because Jenkins had been the eleventh senator elected in the 1987 double dissolution election, and senators were allocated six or three year terms depending on the order of their election, her term expired in 1990. The obstacles to her re-election in the half-Senate election of 1990 were considerable: she had to vie for a full quota; the emphasis placed on environmental issues during the campaign benefitted Senator Jo Vallentine, now a member of the Greens WA; and neither of the major parties were willing to preference Jenkins. At the election Vallentine was re-elected, but Jenkins lost out. In her final parliamentary session as a senator, Jenkins served as Deputy Leader of the Australian Democrats (April–June 1990). In a valedictory speech, her colleague, Senator Janet Powell described Jenkins as 'a great grassroots politician' and 'a strong parliamentary performer'. Jenkins reflected that her time in the Senate 'must be one of the most fast track learning experiences possible'. She reflected on her 'herculean efforts' to encourage the major parties to produce 'more understandable' migration legislation 'than the present mess of pottage' and admitted surprise at 'some of the bitter, offensive and very personal abuse that has been hurled across this chamber'. However, she also acknowledged the 'helpfulness, courtesy and good company' of senators from all parties and independents. She concluded by quoting, in English and Welsh, lines from a 'family forebear' who spent twenty-five years in Victoria, Joseph Jenkins, the author of Diary of a Welsh Swagman: 'Tear not crosswise nor hack in twain/Glide smoothly along the given grain'. After leaving office Jenkins stayed on in Canberra to work in the office of Janet Powell, then Leader of the Democrats, but when Powell lost the leadership in 1991, she returned to Western Australia. In 1993 she stood again for the Senate but was unsuccessful. Her standing within the party was then challenged by a 'reform' group. After heated infighting, the party's National Executive facilitated a 'cooling-off' period during which Jenkins, her husband (Brian Jenkins) and the reform group were barred from taking any position on the state executive. The suspension failed to cool matters: Brian Jenkins resigned from the party and Jean found common ground with the reformers. Together, Jean and the reform group ignored the suspension and ran their own ballot for the state executive. Another intervention from the National Executive in 1994 saw thirteen members including Jenkins expelled from the party and the formation of breakaway factions. In 2004, citing the decline of her old party and her dismay at the treatment of asylum seekers by the Howard Government, Jenkins joined the Australian Greens and contested the federal seat of Brand, held by former ALP leader Kim Beazley. Although Brand was the only WA seat in which the Greens did not direct preferences toward the ALP, Beazley still received seventy per cent of Jenkins's preferences and was comfortably returned. In 2013 Jenkins was the third candidate on the Greens (WA) ticket for the South Metropolitan seat in the WA Legislative Council but she was unsuccessful. 'Profile: Senator Jean Jenkins', House Magazine, 5 Oct. 1988, p. 3; CPD, 21 Sept. 1987, pp. 392–6. WA (Perth), 13 July 1987, p. 22, 6 Oct. 1987, p. 20; Media Release, Senator Janine Haines, 6 Aug. 1987; CPD, 21 Sept. 1987, pp. 392–6. CPD, 4 Nov. 1987, pp. 1744–8, 9 Dec. 1987, pp. 2813–18; Media Release, Senator Jean Jenkins, 10 Dec. 1987, 3 March 1989; CT, 25 Nov. 1988, p. 5, 7 April 1989, p. 3; CPD, 30 May 1989, pp. 3000–5, 14 Dec. 1989, pp. 4604–9, 9 May 1990, pp. 133–6. Transcript, ABC Radio, 'The Morning Show', 25 Feb. 1988; Media Release, Senator Jean Jenkins, 2 March 1988; Philip Grundy et al., Reluctant Democrats: The Transition to Self-Government in the Australian Capital Territory, Federal Capital Press, Canberra, 1996, p. 177; CPD, 18 April 1988, p. 1654, 23 Nov. 1988, pp. 2591–602, 24 Nov. 1988, pp. 2720–42, 2806–53. CPD, 21 Dec. 1989, pp. 5065–6, 14 Oct. 1988, pp. 1354–9, 3 Nov. 1988, pp. 1970–3, 23 Nov. 1988, pp. 2581–5; CT, 24 Nov. 1988, p. 1, 18 March 1995, p. 7. CPD, 28 April 1988, pp. 2103–6, 17 May 1988, pp. 2312–14; Joint Select Committee on Video Material, Report, Canberra, April 1988; CPD, 2 March 1989, pp. 370–2, 4 April 1989, pp. 878–80, 12 April 1989, pp. 1480–1, 29 May 1989, pp. 2965–6, 25 Oct. 1989, pp. 2256–8, 14 Dec. 1988, pp. 4224–8, 20 Dec. 1988, pp. 4698–701, 31 Aug. 1988, pp. 644–5, 20 Dec. 1989, pp. 4962–5, 16 June 1989, pp. 4301–5, 16 Aug. 1989, pp. 202–6, 17 Aug. 1989, pp. 272–3, 359–63, 29 Aug. 1989, pp. 537–9, 543–6, 4 Sept. 1989, p. 927, 7 Sept. 1989, pp. 1275–9, 1292–6; 30 Oct. 2001, pp. 27061–7; Community Affairs References Committee, Lost Innocents: Righting the Record: Report on Child Migration, Canberra, Aug. 2001, pp. xv–xix; Australian Democrats, 30 Years, Australian Democrats, East Melb., Vic., 2007, p. 31. CPD, 21 Oct. 1987, pp. 1058–60, 2 Nov. 1988, p. 1774, 3 Oct. 1989, pp. 1593–5; CT, 6 Nov. 1987, p. 7, 4 Oct. 1989, p. 18; 30 Years, Australian Democrats, p. 31; WA (Perth), 19 Feb. 1990, p. 4. CPD, 31 May 1990, pp. 1653–8, 1668–71; Hiroya Sugita, 'Challenging "Twopartism": the contribution of the Australian Democrats to the Australian party system', PhD thesis, Flinders University, 1995, pp. 115–19; Jean Jenkins, Western Democrat, No. 16, June 1990. This biography was first published in The Biographical Dictionary of the Australian Senate, Vol. 4, 1983-2002, Department of the Senate, Canberra, 2017, pp. 542-546.